If you are looking for information on the Corporate Cleaning Group franchise business opportunity, Corporate Cleaning Group franchises or Corporate Cleaning Group franchising, then you have come to the right place. Corporate Cleaning Group® helps you differentiate yourself from the competition through our niche markets. 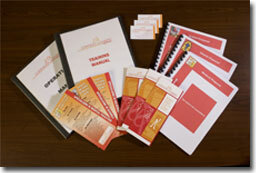 Systems, forms and procedures including operations manual, employee manual, and training manual. Corporate Cleaning Group® provides sales research and marketing directly in your market assisting you with identifying leads. 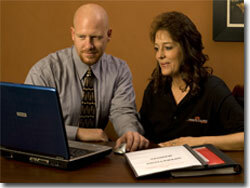 Corporate Cleaning Group® will teach you our systematic sales approach. With our national references, Corporate Cleaning Group® gives you the ability to acquire large key accounts immediately. Our word is our commitment & our commitment is to our franchisees! Corporate Cleaning Group® has already invested the time and money to establish and test the business, all you have to do is perform within the model. When you join Corporate Cleaning Group®, you will become part of a "team" that cares about your business as much as you do. We provide a great support system! As a franchisee, you will be able to control your own future, you will also have the advantage of established relationships and contracts, while benefiting from years of successes. Corporate Cleaning Group® does not offer a get-rich-quick scheme. We provide a model that will allow you to have long-term success. The benefit of this opportunity is that the startup cost of your business is minimal. You will not be required to purchase equipment or hire employees before accounts are acquired. Only when you do secure an account will you have to purchase supplies, equipment and hire for that particular account. This allows you to minimize your immediate out-of-pocket expense. Corporate Cleaning Group accredits its growth to one major component - the development of niche markets. In the cleaning industry, the number of prospects is infinite, something that can easily become over-whelming, leading to complete paralysis of sales initiative. A business needs to have a strategy for targeting customers or, chances are, it will be very difficult to differentiate yourself in the market place. It not only is important that a niche be identified but also that products and services be developed around the niche. It has taken years of experience, trial and error, and hard work to develop our expertise in medical, churches, and schools. However you receive the benefits! Not only do we have multiple references in these areas but we have programs, systems, services, and marketing material designed specifically for these niche markets. When you step foot in one of these facilities Corporate Cleaning Group immediately gives you the advantage. Exclusive cleaning tailored to your special needs! Corporate Cleaning Group® provides extensive, initial training, plus unlimited on-the-job training. From the beginning, you will be assigned both a sales and operations coach; our qualified staff are always available to answer your questions. Corporate Cleaning Group® provides both bidding and technical support. Corporate Cleaning Group®'s objective is to proactively evolve within the cleaning industry while continuing to enhance our systems. Corporate Cleaning Group® has developed preferred vendor relationships that will enable you to purchase chemicals, supplies and equipment at very affordable prices. Plus, we also have a vendor relationship with an insurance company. And, upon request, CCG can provide payroll services. 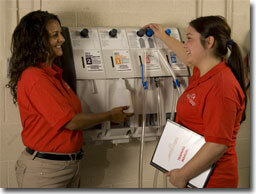 Corporate Cleaning Group®'s cleaning and janitorial service systems will enhance your overall customer satisfaction. We supply step-by-step written instructions for cleaning, stripping and waxing, buffing, carpet and hard surface care, plus much more. We provide a unique bidding system that specifically accommodates churches, schools and medical facilities. Our financial systems are designed to support our special cleaning business payroll service and other budget items. All of these items will empower you to add layers of supervision that allow for future growth. Corporate Cleaning Group® helps build your business on monthly contracts. Therefore, as you build your business, you will have a residual revenue stream. This most often is not the case with many franchise opportunities. Our model also demonstrates the opportunity to secure large facilities in the beginning stages of your business that typically could not be approached by a startup business.